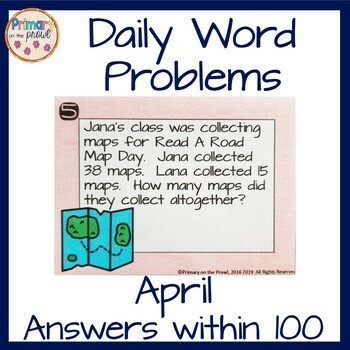 April Word Problems within 100 are the perfect way to get your students practicing solving word problems without getting bored. These April themed problems will have your students solving story problems based fun Spring themes like April Fools Day, Find a Rainbow Day and Hug a Friend Day. Available in 6 different formats to meet your flexibility needs! This resource is perfect for First and Second grade teachers who teach word problems as part of their math instruction. The answers to the problems are all within 20. The problems are based around the month of April and special events that happen that month. There is a low prep resource depending on the type of resource you need. 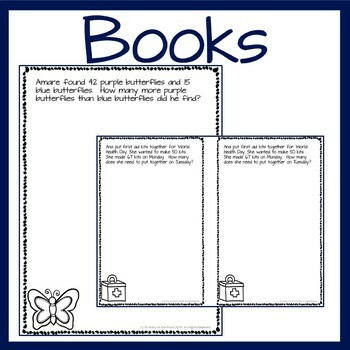 All printable materials are available in black and white. 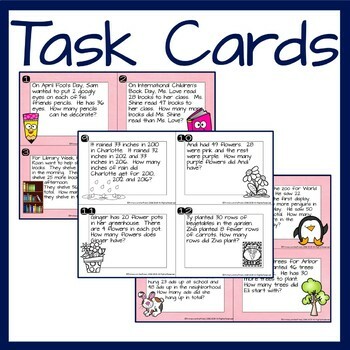 The task cards are available in color and black and white.